With thousands of diverse homebuyer programs available across the country, it can be overwhelming to understand how each one works. One little-known homebuyer program is gaining in popularity. Mortgage Credit Certificates (MCCs) provide eligible homebuyers up to a $2,000 tax credit every year for the life of the loan. That’s a tax credit – cash in pocket for homeowners. Our latest Homeownership Program Index found that MCCs across the country increased from the previous quarter. MCCs have been around for years, but now they are on the rise and they can often be used in conjunction with a down payment program. Basically, an MCC is a tax credit program that allows eligible homebuyers to claim a percentage of the mortgage interest they paid as a tax credit on their federal income tax return. Because it is a tax credit and not a tax deduction, mortgage lenders may use the estimated amount of the credit on a monthly basis to increase the buyer’s qualifying income. The percentage of mortgage credit allowed to be credited varies depending on the state or local housing agency that issues the certificates, but the credit itself is capped at a maximum of $2,000 per year by the IRS. Plus, the buyer may continue to receive an annual tax credit for as long as they live in the home and retain the original mortgage. That’s up to $2,000 per year, every year! MCC that offers a 30% credit on a $200,000 loan for 30 years with a rate of 4%. Because the total credit exceeds the IRS limit of $2000, the homebuyer would report a $2000 credit on their tax return. The entire remainder of mortgage interest paid is still claimed as a deduction. The MCC program provided by Florida Housing Finance Corp. has tripled the number of homebuyers served in just two years. And, the demand is expected to continue. The program’s success was recently highlighted in the Sun Sentinel and HousingWire. 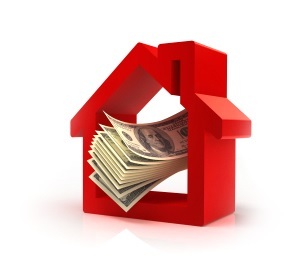 Use Down Payment Resource to search for your local programs. Many states, as well as local city and county providers, offer valuable MCCs, increasingly in conjunction with their down payment programs.